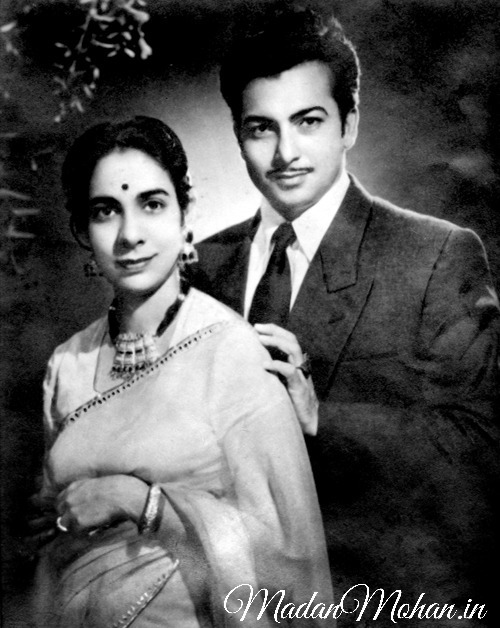 Madan Mohan, the creator of immortal melodies and film ghazals, had a fun-loving, outgoing personal side as a gracious cook and host, a wrestling and racing enthusiast, a car freak among other energetic interests, remembers his eldest daughter Sangeeta Gupta in a conversation with Peeyush Sharma. For us, the lovers of the music of yesteryear, it is an endless stream of questions that keep coming to our mind regarding those music personalities. In my quest to find answers I have spoken to a number of persons and many such interviews have been published in Silhouette before. 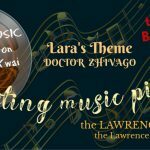 In this rare opportunity, when the music loving daughter of a legendary music composer accepted to answer some of my questions, I found myself on cloud nine. From here I invite all my readers to be part of the excitement that Sangeeta Gupta, daughter of music director, Madan Mohan, shares through her answers. Peeyush Sharma: Please tell us about his days when he was an assistant to SD Burman – anything in particular that he learnt from SD Burman and used it in his compositions or style of composing. 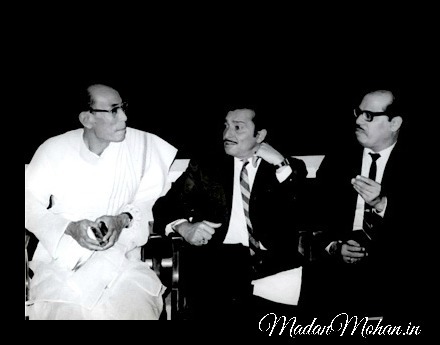 Madan Mohan with S.D.Burman and Manna Dey. 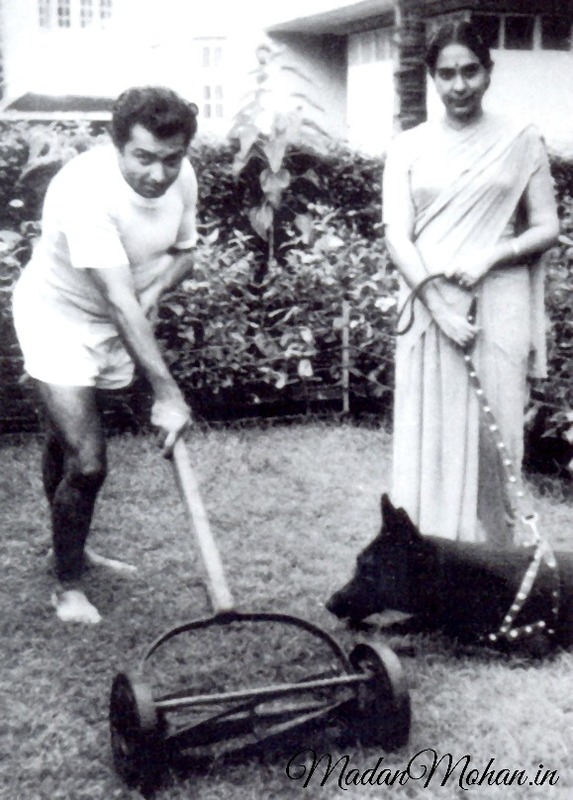 Madan Mohan assisted SD Burman in two film including Do Bhai. Sangeeta Gupta: Burman Dada and Madan Mohanji were close from the time when Burman Dada composed for films produced by Filmistan where Madanji’s father was the administrative partner. Madanji assisted him in two films, including Do Bhai. Dada saw spark in him and encouraged him to venture out independently. I would not be able to say about what he learnt from Burman Dada’s style of composing, but he held him in high esteem to be his Guru and had the greatest respect and regard for him. Burman Dada too was very fond of him. 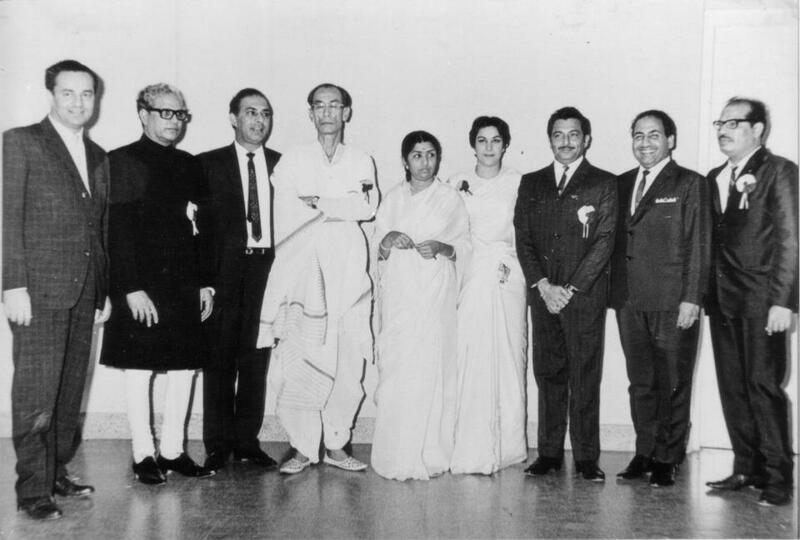 Madanji, along with Nargisji were the two comperes for the first ever S D Burman Nite held in 1967 at the Shanmukhanda Hall which we were privileged to attend as children. What an experience that was. I recall, after the release of Heer Ranjha Burman Dada landed up at our residence early one morning, just to bless Madan Mohanji and compliment him for the music of the film. Peeyush Sharma: You had written in your memoir that he was more disappointed about Burman Dada not getting the award for Guide, forgetting that he himself had been nominated for Mera Saya. Did he share his feelings with Burman Dada? Peeyush Sharma: His opinion on other contemporaries, Naushad, Shankar Jaikishan, C.Ramchandra, Salil Chowdhury, Hemant Kumar, Chitragupt, Roshan, Kalyanji Anandji, Laxmikant Pyarelal, RD Burman and others. Who did he hold in esteem and why? 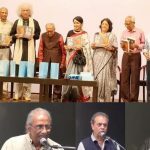 Sangeeta Gupta: In those days, even though the composers were contemporaries and were professional rivals, they maintained a very friendly relationship on a personal level and each one of these legends did not have any qualms in acknowledging the good work which the others were doing, time and again. Amongst them Jaidevji, Roshan Saab were very dear to him. We visited Khayyam Saab’s house regularly for family dinners and also occasionally Naushad Saab’s place. He was very fond of Jaikishanji, and they met regularly for morning coffee at Gaylord’s. C Ramchandraji, Salil Chowdhury, O P Nayyar, Hemant Kumar and Chitraguptji were contemporaries for whom he had great regard, personally and professionally. Of the others he mentioned he admired R D Burman’s work even though he was junior to him. Laxmikant Pyarelal too, more so as Pyarelalji had worked under him as musician and held Madanji in great respect. He was very happy that they had moved forward and admired them and their work. With Kalyanji Anandji he shared a formal relationship. 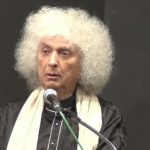 Peeyush Sharma: What was his opinion on the male singers of that time? Sangeeta Gupta: Talat Mahmood and Manna Dey were very close friends of his and the family. He was friends with Mukeshji, but for some reason did not work with him too often. Mohd. Rafi Saab held a special place in his heart and work as well, though Rafi Saab was a reserved person and did not socialise too much. Peeyush Sharma: I believe, he never worked (or very negligible) with Hemant Kumar as singer. Any reason? Sangeeta Gupta: No, I cannot think of any particular reason. One must not forget that Hemantda was also a respected and leading composer who may not have had the time to sing for other composers. I think he sang about four songs for Madanji, and I admire him for taking out the time to sing for other composers, especially S D Burman and a few more. Peeyush Sharma: Madan Mohan ji introduced Bhupinder Singh in Haqeeqat (Hoke majboor mujhe) and gave superb work in Mausam. How did he talk about Bhupinder Singh? Sangeeta Gupta: Madanji discovered Bhupinderji in Delhi and invited him to come to Mumbai and was instrumental in giving him his debut song Hoke majboor mujhe from the film Haqeeqat along with the three legendary greats Manna Dey, Talat Mahmood and Mohd. Rafi. Bhupiji enacted the song on screen as well. Oh, he was and we all too are very very fond of Bhupiji. Apart from getting him to sing the two songs, Bhupinderji also played the guitar in very many of his songs as he is an ace guitarist. Bhupinderji reminisced about his association with Madan Mohanji recently, and he remembered him so very fondly with tears in his eyes. Peeyush Sharma: Chacha Zindabad has interpolations that sound like Kishore Kumar’s improvisations. Did Madan Mohan ji share anything about that? Sangeeta Gupta: Not that I know of. I am sure Kishore Kumar could have. But Madanji usually sang out to the singers what and how he wanted them to sing. You will be surprised to know that he scored music for 7 films starring Kishore Kumar. He also scored numerous light and comedy, classical and romantic songs, which may outnumber his popular ghazals that he was normally known for. Peeyush Sharma: We know about his preference for Lata Mangeshkar but what about others? Sangeeta Gupta: Yes, his preference for Lataji is very well known and documented. His were very tough compositions, though they could have sounded comparatively easier. She understood his demands about the songs and executed them to the last ‘t’. I suppose that is what the composer wants. With the other female singers i.e. 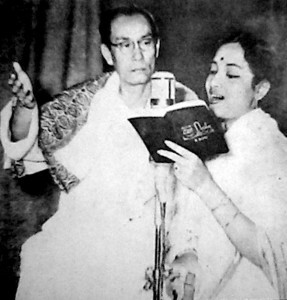 Shamshad Begum, Geeta Dutt, Asha Bhosle too he enjoyed a very good personal and professional relationship and used their particular styles and voices according to the demand of the composition, situations. He always gave the song to the singer who he felt would do justice. Peeyush Sharma: Under the Lata shadow, some of his superb work with Asha Bhosle went unnoticed. One outstanding creation is Aakhri Dao’s Hai unki woh niganhen, dil dekhe jinki rahen. And many more. Comment? Sangeeta Gupta: Yes, I would agree here. And Asha Bhosleji too always says that she has sung almost as many songs as Lataji has done…but …..
Peeyush Sharma: Did he ever mention Meena Kapoor (as singer) as his first film Ankhen had her hit song, Mori atariya pe kaga bole mera jiya dole, koi aa raha hai. Sangeeta R Gupta: Not that I can recall. Peeyush Sharma: Any incidents about his rehearsals or recordings with Lata Mangeshkar or other singers that you particularly remember? Sangeeta Gupta: Rehearsals were never easy. They took days at times. The singers came to the rehearsal room that Madanji had in a building across the road from our house and sometimes at home. Though not encouraged to go to the rehearsals, we were occasionally allowed to attend. We would, at times, bunk school on the pretence of not being well and suddenly start feeling better to attend a recording, which were very often at Famous Studio, Tardeo. We were pampered by the musicians, the chorus singers and the lead singers. Rafi Sahab, I remember was a very shy person. But he had a perpetual smile, even while singing, and that memory is engraved in my mind. 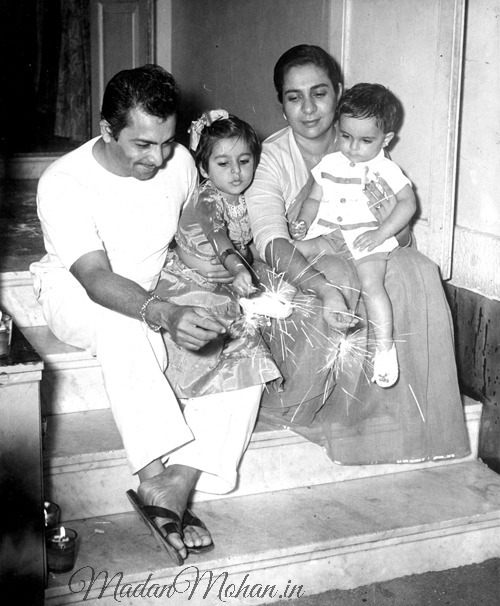 I do remember that as a family we had a special relationship with the Mangeshkar, Manna Dey and Talat Mahmood family. Madanji had a very friendly and cordial relationship with all the singers, musicians and artists who treated him with a lot of respect, which he reciprocated. Peeyush Sharma: With actor Om Prakash (who was also a producer) he did four films, Sanjog, Gateway of India, Chacha Zindabad and Jahanara. It must have been a great association. Any other such producers he was fond of or they were fond of him and any memories, incidents. Sangeeta Gupta: He was a fun-loving person. His music sittings were mostly fun. Madanji, the great lyricist and his friend Rajinder Krishanji, comedian Om Prakashji with whom he had a special friendship and many others would get together there and have their card sessions. These would also go on along with his tabla player, Mahadev Indorkar, his assistant, Ghanshyam Sukhwal and Mr. Suri while they waited for the singers or producers to arrive for the sittings. Peeyush Sharma: How much composing independence was granted to him by his producers? Any particular producer(s) who would give him a free hand to make his kind of music? 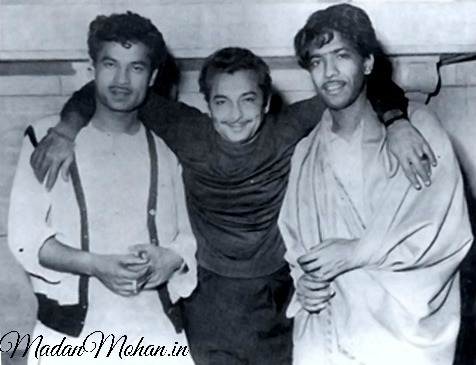 With Raj Khosla Madan Mohan ji did Woh Kaun Thi, Mera Saya and Chirag – all three films are best known for their music. Why did they split? Sangeeta Gupta: He did not accept any interference in his composing. He gave the producers more than one choice of tunes so that they could select their preference. He preferred mostly, to compose his tunes on the lyrics which were given to him by the lyricists. He was particular about the lyrics and very often would request changes (as he was very proficient in Urdu). He would then give several options of tunes which would fit the lyrics best. He was happy with comfort zone with the producers/directors as well as lyrics writers and hence you find that he did not work with too many lyrics writers. 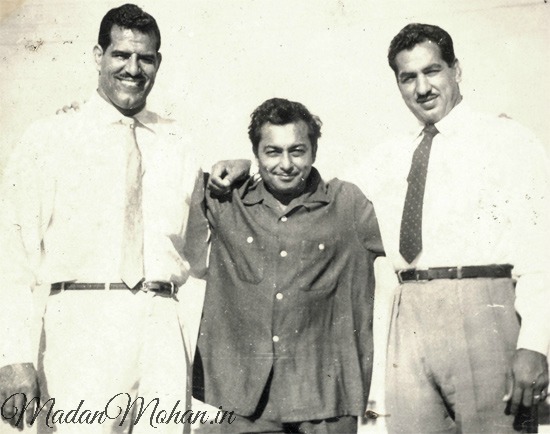 As regards Raj Khoslaji, they were friends from the time Madan Mohanji began his career and in fact Raj Khoslaji sang a song for Madanji’s first film Ankhen. Raj Khoslaji was very musically inclined and had his own views on the same. 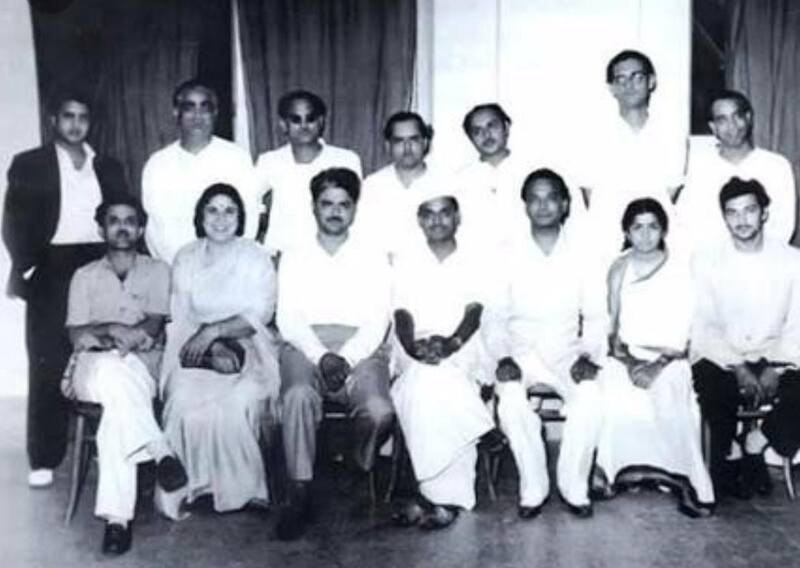 (Standing from left to right) Jaikishen, Pundit Gobindram, Hansraj Behl, Roshan, Mohd.Shafi, Hemant Kumar and Ghulam Mohd. As far as working together is concerned, the question you have asked is a very often-asked question which I think should be taken in the broader sense. Raj Khoslaji was not the producer of any of the three films mentioned above. He was the director. Woh Kaun Thi was produced by N N Sippy and the other two Premji. After Woh Kaun Thi and Mera Saya, Raj Khoslaji wanted to produce Anita which again had Sadhna in a double role and did approach Madanji for the music. But Madanji felt that it was too soon after the first too for this kind of film and opted out of it. The music was then composed by Laxmikant Pyarelal with lovely songs for the film. Peeyush Sharma: Madan Mohan ji’s association with Chetan Anand led to many landmark films, Haqeeqat, Heer Ranjha, Hanste Zakhm, Hindustan ki Kasam, Sahib Bahadur. Please tell us more about his relationship with Chetan Anand, their style of working, friendship. What kind of a role would Chetan Anand play in giving the creative brief or in any demands for music styles? Sangeeta Gupta: They did so many films together which are even remembered today for their outstanding music. Peeyush Sharma: Madan Mohan ji also has quite a number of frothy and light and romantic and comedy numbers that are real beauties. Strangely, they are less talked about. He is known more for his ghazals and classical numbers. Why so? Sangeeta Gupta: Yes, I wonder why. 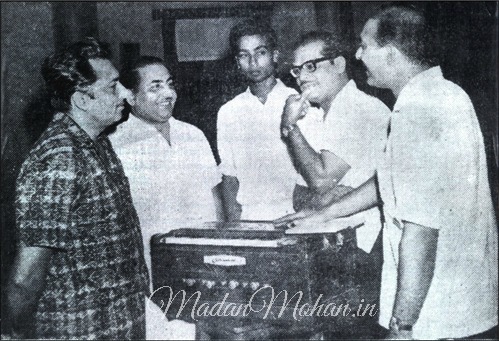 Madanji has composed music for about 7 films starring Kishore Kumar. He has lovely light classical, philosophical songs, romantic songs, comic songs as part of his repertoire. In fact, a few years ago, a program was held in Mumbai which was devoted to this myth of him being just a ghazal composer and none of his so-called popular ghazals featured in the program… but songs which were normally not considered his “style”. And then as they said ‘Kya yeh gaana bhi Madan Mohan ka tha?’ was the common refrain after this “eye opener” concert. I feel, rather dejectedly, that we, as music lovers always try to diagnose and dissect a song rather than enjoy it. Before we have finished listening to it we have already started comparing it to O P Nayyar’s style, or C Ramchandra’s style or Shankar Jaikishan’s style. Each one had a very large repertoire of work and I enjoy each song as it comes, from whichever composer or film. And then i try and understand whose song it is. Now after having listened to so many beautiful songs by such great composers, I can quickly recognise whose song it is. Peeyush Sharma: In a career of 25 years (1950-1975) he composed music for 92 released films, which is a good number. Yet it is sometimes said that he did less work. Compare this to SD Burman (90 films in 30 years) or OP Nayyar even lesser – Madan Mohanji’s repertoire is bigger. Then why this myth? Sangeeta Gupta: I would imagine it has more to do with the box office success ratio of the film. The main reason for this would be that S D Burman and O P Nayyar and few more composers had more hit films than he did. His songs were surely hits, as is proven even today, but unfortunately the films sank, sometimes without a trace. So this, I feel would be the main reason for this myth…for people, including me to believe that he worked in fewer films than he actually had. Peeyush Sharma: Did he have any particular preferences of ragas, any favourites, like any particular design in composing ghazals? Sangeeta Gupta: Madan Mohanji was not a trained musician. His knowledge of classical music came from listening to the greats in the field from vocal to instrumental classical exponents. He would sit late into the night listening to them at their concerts, or invite them home and have all-nights sessions accompanied with dinner. I personally feel he did not favour any one particular raga to base a song, but that many of his songs were a delightful mishran of two or more raags. I have so often heard experts trying to analyse his songs and get confused about which raga it could be because the songs had a little bit of this and a little bit of that. Peeyush Sharma: Which were his own favourites among his songs / films? And any favourites of other music directors that he spoke about? Sangeeta Gupta: About other composers, i do not recall him mentioning particular compositions or songs apart from Guide, Aarti and Aakhri Khat by Khayyam Saab. About his own songs/films , I do remember him being bitterly disappointed about the failure of the film Jahan Ara. But ironically, the songs of the film are still heard and appreciated today. I am sure he would have loved each one of his compositions dearly. Peeyush Sharma: Are there more recordings available in his own voice like Mairi main kaase kahoon peer apne jiya ki. Can they be released some day? 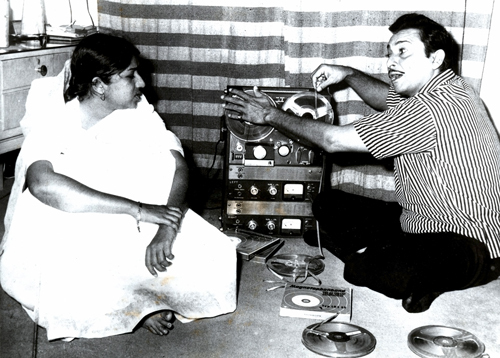 Madan Mohan listening to newly recorded song at home with Lata Mangeskhar on his Akai Spool recorder. Sangeeta Gupta: People have the misconception that Mairi main kaase kahoon from the film Dastak which has been released in Madan Mohanji’s voice was recorded for the film. That is not factually correct. 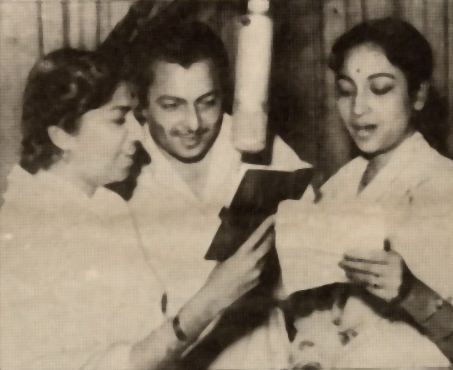 This was recorded in his voice as the lead singer Lataji was unavailable for recording and the song was urgently needed for outdoor location shooting. Later it was dubbed by Lataji and her version was used on disc as well as the film. The version in his voice was accidently discovered on his spools after he passed away and was handed over to HMV to be used as part of an album titled ‘The Tribute’ released in his memory after his demise. This started playing on the radio and caught the attention of the listeners and has become very popular since then. The same was the case with Naina barse from Woh Kaun Thi. Since these two are the only full songs in his voice, these are already available. 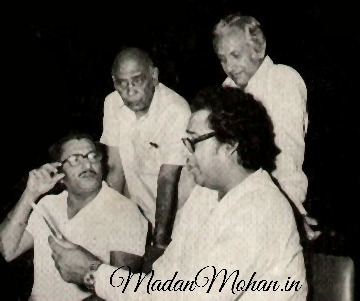 Other snippets of him composing are all available on his official website MadanMohan.in. Peeyush Sharma: The composer decides who will sing which song. But sometimes the director or producer or actor may not agree with him. Any instances where he stood his ground on his choice of singer? Sangeeta Gupta: It is very easy for us now to say this or that composer should have done this or that. I think we should respect their choice of singer, instrument or whatever they thought portrayed what they had in mind best. After all it is their composition and creation and they are the best judge. There are two instances which stand out in Madanji’s career where he was adamant on the singer of his choice for the song/film if they wanted him to score the music of the film and stood his ground and proved his point. The first film was Jahan Ara in 1964. Mohd. Rafi was flying high and the choice of most heroes and producers. However, for this film Madanji was adamant that he wanted to use Talat Mahmood. Talat Sahab was not singing too much those days and the director refused. Madanji gave them the choice to either let him use Talat Mahmood or he would quit the film. He also spent from his pocket to record the Talat Sahab songs. The results are there to see even today. The second instance was for the film Laila Majnu which released after his death in 1976. The producers wanted to use Kishore Kumar for Rishi Kapoor, but here Madanji wanted to use Mohd. 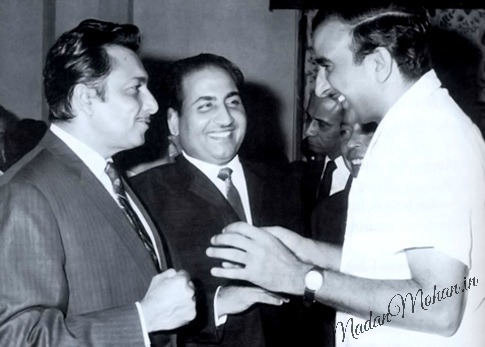 Rafi who at this time was not singing too much compared to Kishore Kumar and he got his way. Peeyush Sharma: Madan Mohan ji’s tunes are uniquely his own. And yet when we hear the Sajjad Hussain tune (Yeh hawa yeh raat ye chandani / Talat Mahmood / Sangdil) which is note to note similar to Tujhe kya sunaun main dilruba, tere samne mera haal hai / Rafi in Aakhri Daao, we wonder how that happened. 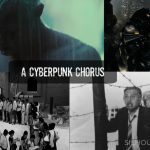 Sangeeta Gupta: You know, I too had the same opinion as most others do, that the Aakhri Dao song is inspired from Sajjad Hussainji’s Sangdil song. I had mentioned this similarity somewhere and was pulled up by a senior music lover who said that this is a misconception. He played both the songs on the harmonium and concluded that from the swaras the total difference between the opening lines is evident. The background score approximates at certain junctures much like two parallel rails kiss each other at a siding only to part soon after. It is an interface where one can stray into the other song if not vigilant. Hope this makes things clear. But yes, there have been a couple of occasions where he has used a western popular tune, but on the whole he has been highly original. Peeyush Sharma: Please tell us about Madan Mohan ji’s and your family’s association with Jagjit Singh and Chitra Singh. How did it happen and grow? Sangeeta Gupta: We were kids when we were introduced to the very young Jagjit Singhji who had come to Mumbai to venture into the world of music. I remember we were to go to the wedding of our very dear family friend’s son and Jagjitji accompanied us. We were all amused by one of the songs he sang there – Mere bhains ko danda kyun maara! Over the years the fondness as a family grew, though Jagjitji, unfortunately for reasons not known did not sing any song for Madanji. In fact on Madanji’s first death anniversary in 1976 the family held a small musical evening where Jagjitji sang in his memory. 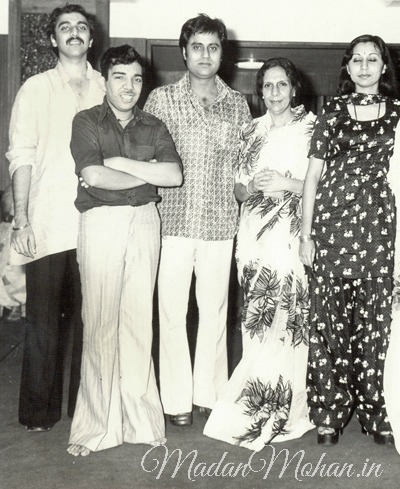 Thereafter, Sanjeev, Madanji’s elder son joined the music industry with Polydor and later with HMV where he had a special relationship with Jagjitji. It carried on till Jagjitji sang one of Madanji’s tunes in a duet along with Lataji for a song which was released on the Veer Zaara album (though it was not for the film or in it). This relationship continued till Jagjitji passed away and now it continues with Chitraji. 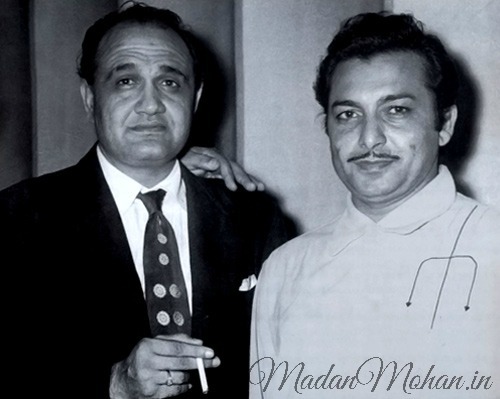 Peeyush Sharma: Madan Mohan ji as the father – your fond memories? Sangeeta Gupta: He was an excellent cook. He loved to go to the market to buy all that he needed for the special dishes he wished to make and on Sunday mornings we joined him going to Crawford Market and Null Bazaar to buy fresh vegetables and mutton. Even when my mother had her ladies lunches, he would cook the main non-vegetarian dishes for the parties. 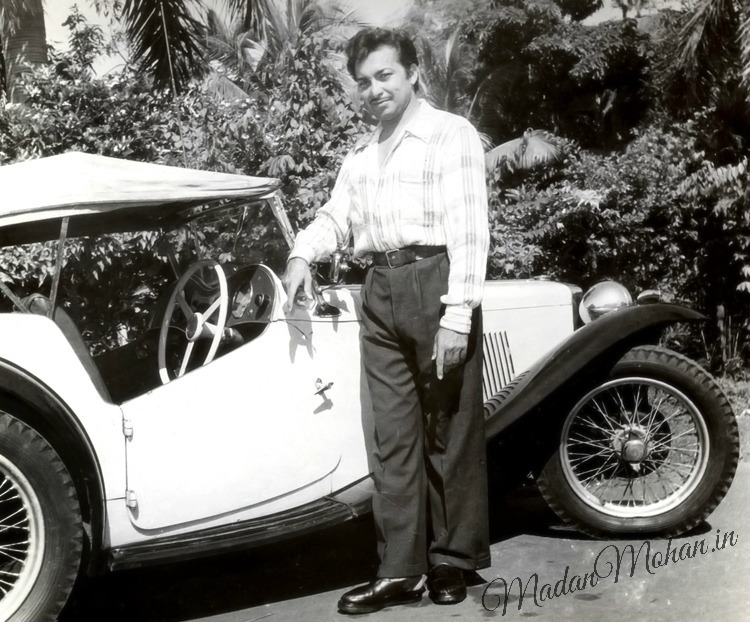 Madan Mohan was very passionate about his cars. Almost everyday was a treat. I can smell the aroma of the food cooked by him, even today, such is the vivid memory. Even during holidays to hill stations, he would take permission from the management of the hotel we were staying at and they would allow him to cook on their premises. Lots of other guests and people around would be welcome to join in the festivities and picnic. Sundays were also swimming time at N.S.C.I. club and a sumptuous breakfast thereafter. He was very passionate about his cars – the Studebaker Champion two-door American car, or the Emgee which he had in 1956. I remember sitting in the car and accidentally shifting the gear and banging it into the wall. Peeyush Sharma: He loved to cook and was a great and generous host. He also loved his races and horses. Any other hobbies or fascinations? 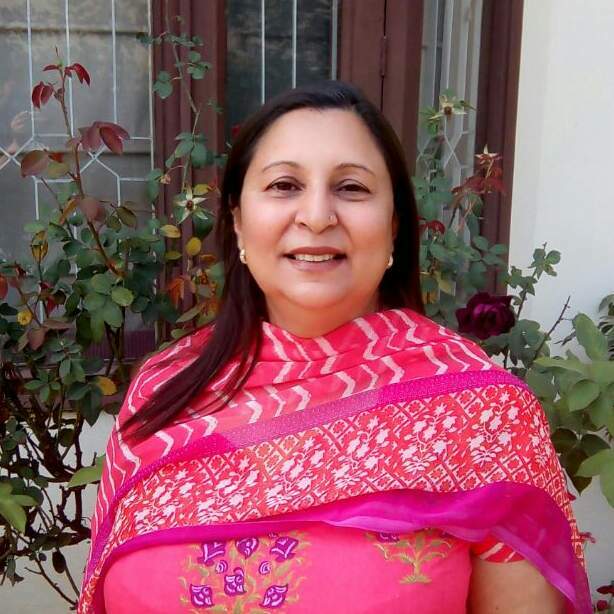 Sangeeta Gupta: He was very fond of sports, whether it was playing cricket, badminton, snooker, billiards, swimming or watching all types of matches – especially cricket. We went to a lot of wrestling and boxing matches with him as he was invited as chief guest very often. It was awesome meeting Dara Singh and other famous champions. He was very proud of his well-maintained physique, especially his muscles, which he loved showing us when we were kids. He would never miss any racing event if he could manage it. He would buy the “Cole” which had all the horses listed with details and study it very seriously a day before so that he was ready with his bets. My mother on the other hand would bet by the colour combinations of the dress the jockeys would wear. What a contrast! As with racing, he was equally fond of playing cards, whether it was teen patti or rummy. But he was rather strict and particular about his work. Once work started, then it was all serious work from all until the song recording was completed. Peeyush Sharma: Please tell us about your mother. Sangeeta Gupta: My mother’s maiden name was Sheila Dhingra. She belonged to a leading family of Punjab. Her father was the first civil surgeon from the undivided Punjab. Her Chacha was the freedom fighter Madan Lal Dhingra. She was very well educated with an MA degree. She did not play any instrument or sing, but appreciated music and was very supportive of my father’s work and talent. Peeyush Sharma: Why did he suddenly lose ground (getting lesser films) in late sixties? When Rafi and Lata Mangeshkar were not singing together, most music directors retained Rafi and replaced Lata with Suman and Asha. 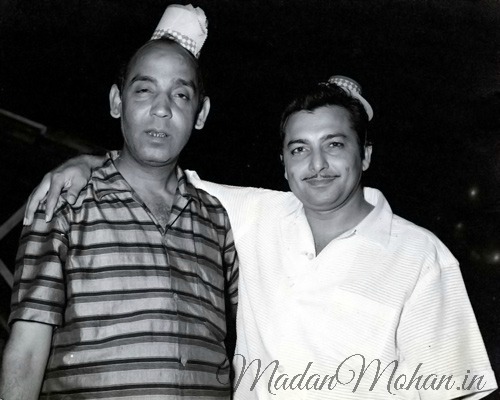 Madan Mohan ji retained Lata and replaced Rafi with Mahendra Kapoor. Could this have been a reason for his getting lesser work during that time? Sangeeta Gupta: No, I do not think so. The late sixties saw the coming of new blood. Also new film makers were on the scene, so that made a difference. He did not compromise on his style of work. Also unfortunately, Madanji’s films were not doing very well at the box office and that could be another reason. The main heroes had their camps and their selected composers, so the rest, including Madanji did not get big banner films in any case. Madanji also used Suman Kalyanpur in a few songs and Asha Bhosle extensively when Lata Mangeshkar was not a choice due to date availabilities or price constraints. I was surprised to learn that the total number of songs that Asha Bhosle sang was not very much less than the number of songs Lata Mangeshker sang in Madanji’s repertoire. So, this is a misconception. 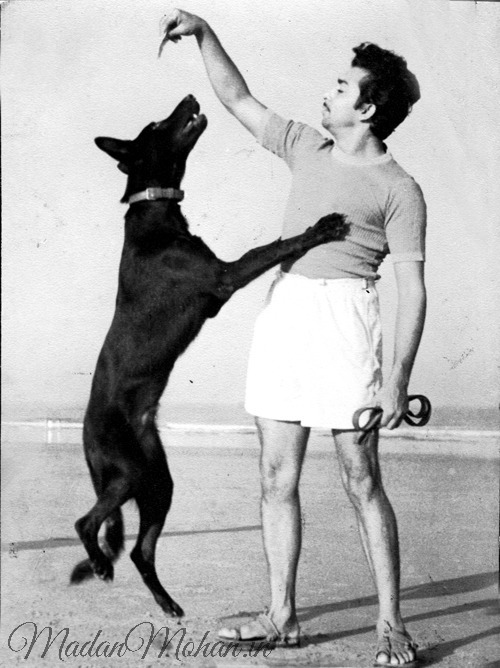 As far as Mahendra Kapoor is concerned, Madanji was one of the judges who selected him the winner in the male category for the Metro-Murphy Contest and did share an affinity with him too. Peeyush Sharma: Did he share any observations about Suraiya? They worked in Khubsoorat together also in a film that never got released, Palken. Sangeeta Gupta: Suraiyaji and Madanji were childhood friends. They lived in neighbouring buildings on Marine Drive and Madanji was instrumental in taking her to All India Radio to sing in a children’s program. She was very nervous then. Suraiyaji usually sang for herself and since he composed for only one film starring her, their combination was limited to this one film Khubsoorat in 1952. They did not work together again but their friendship carried on and continued with the family even after Madanji had passed away. I last met her in the year 2000. I think his score for Mohar was one of his best. But it is never mentioned. As she says his comedy songs especially where he himself sang like Chacha Choudhry are never mentioned too. A great pity. His combination with Rajendar Kishen gave some fantastic classics ranging from Bada hi CID to Hum pyar me jalnewalonko. Yes, Bharat, you are so right. Mohar did have lovely songs. My favourite is the Rafi/Lata duet; Ae humsafar bata de, manzil teri kidhar hai. There was also the Hemant beauty, Kho gaya jane kahan aarzuon ka jahan and one great Talat song, Yaad jab aaye teri apni guzari zindagi. Excellent score. Thanks for appreciating. Moti Bhai, I do not want to guess, let see if Sangeeta ji replies. And Mohar had the epic Lataji solo ‘Tum ho saath raat bhi haseen hai‘ Wow! And double wow! I agree with you absolutely Bharatji, but unfortunately songs from the early fifties do not feature in the very popular category of Madanji’s repertoire though they were exellent and very melodious. Very interesting and informative. Such interviews not only bring back our glorious past but also document what happened those days for our generations to come. It would be interesting to know from Sangeeta the name of the second film in which Madan Mohan assisted Burman Dada. Thanks for this rare interview. Very happy to know you enjoyed the article Motiji. Unfortunately I would not be in a position to fill in the gap here. I am aware only of Do Bhai which is documented as well. Sangeeta, Thanks for the prompt reply. I had read somewhere, decades back, that Madan ji had assisted SDB in two films. Then I read Madan ji’s official website and changed my thinking. This article raised hope for a while. Alas, we shall never know which was the other film. A request to you: Please do share if ever you come to know about it. Thank you so much. The second film was Munim ji in which Madanji played a small role as well. The film released much later. Gita Setia: What a Beautiful journey down the Memory lane! Thanks a Lot Sangeeta Jee. Sunil Kumar: What Gems Madan ji composed will always remain in our heart till the eternity. 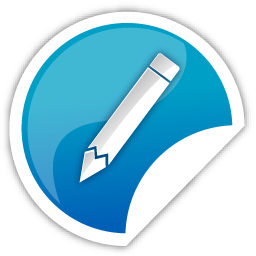 Srikant Sambamurti: Excellent…and very mature and frank as is to be expected of you. How I wish he was here to answer our millions of questions himself !! Geeta Pandit: Sangeetaji, what beautiful memories, thanks for sharing with us. Khantha Mahadevan: Simply wonderful to read this interview of yours, Sangeeta ji! I am especially grateful that you gave so much details in such an interesting manner to Peeyush ji in writing. Thanks a ton! Sanjay Banerjee: An everlasting treasure Antara.. what a share?.. amazing..I have no words to describe my feelings.. just superb..my greetings.. kindly extend my soulful wishes & gratitude to Sangeetaji & Peeyushji..
Veena Sathe Pathak: Sangeeta ji, it was such a pleasure reading this interview with Peeyush ji. Your candid conversation displays so many details about the genius composer. Different facets of his personality brought forth from a personal angle as only a daughter could! Thanks a lot! Anil Sethi: Very rewarding interview with Sangeeta! Many small facts came to light, thanks to her vivid memory and forthright replies. 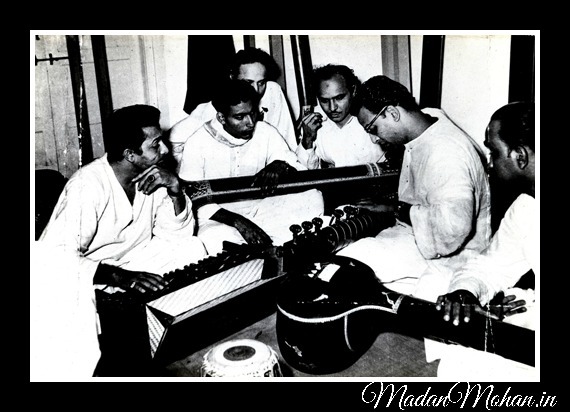 Madan ji’s early association with stalwarts like Begum Akhtar ji, Ustad Ali Akbar Khan Sahib and Talat Mahmood Sahab in Lucknow, and the continued patronage of Hindustani Classical masters like Ustad Allah Rakha and Ustad Vilayat Khan Sahab tells us about the musical stratosphere he lived in. The question of any compromise therein was blasphemy to him, and he never relented, even to the closest of friends. Such a man, who lived and died with his principles, and gave celestial music, to be savoured by conniessuer and commoner alike, ought to have been wrapped in saffron and given a soldier’s sendoff, to say the least. Quddus Abdul: A comprehensive, very informative interview…Love it. Many many things, which I wondered about MM Ji’s before, are so clear now. Am greatly thankful to responsible party(s). Anil ji. Thanks for posting those remarkable comments. Very true he is among our true Bharat Ratnas, award or no award. Look at the number of wonderful comments this write up has received, it just shows how people still love his music and respect his memory. Have read your comments Lavanyaben, and so very sweet of you to have taken the time to go through this in detail and express your views …. Coming from you it means a lot. Thank you so very much. Thanks Everyone, we have new friends with extended horizons and the feedback is so encouraging. Ever grateful for your appreciation. Do visit other posts also and give your feedback. Oh wow! This was such a splendid read. Read it in one go. Loved it. I agree with Sangeetaji on one point very strongly: that most music lovers tend to ‘try to diagnose and dissect a song rather than enjoy it.’ I also feel music is best enjoyed. It’s a feeling, an emotion. The myths surrounding Madanji are too many and it really gets on my nerves when he is stereotyped. Few years back for a commemorative book I had made a list of his ‘peppy’ songs. And what a list it was! Those songs are no less than his ghazals. And no, it’s not just a stray ‘Jhumka gira re‘. It’s much more. Right from Aankhen‘s ‘Humse milna BA pass karke‘ to Mausam‘s Chhadi re chhadi, there are innumerable such gems. Another point that never gets talked about, and of which I am totally fascinated, is his impeccable sense of orchestrations and interlude music and tunes. What an array of instruments he used. I think this is something that needs to be further explored. For example the tender interlude pieces in ‘Naino mein badra chhaye‘ or even in a lesser known gem like ‘Pyar kya hota hai bataaye koi‘ are mesmerising. Oh wow Deepak, you have just expressed my feelings so very beautifully vis-a-vis the myths surrounding Madanji’s repertoire and his capabilities other than composing class ghazals. I am giving you a link of another beautiful article by Peeyushji which was published on 25th June, Madanji’s birth anniversary. Would love your comments there too. Recently when a CM was going on and on about our PM’s degree issue, some people had created a meme for fun on Twitter using a song depicting that he was like this female in this song – and they used which song?! ‘Humse nain milana BA pass karke‘. Imagine! I suspect the creators of the meme wouldn’t be aware of the creator of the song even. But it was all over Twitter! True, people know and like songs, but make no effort to find out about the creators ….Wish some effort would be made to know who wrote, composed and sang the songs they themselves sing and enjoy. Not all people. 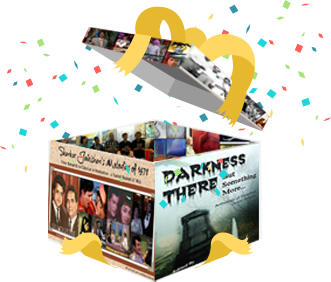 In my CDs, laptop, flash drives, everywhere I have the year of release, the names of the writer, singer/s and the MDs. Brilliant write up .. so amazingly written that you can’t stop reading it at a stretch. Wonderful memories shared by the daughter of the great composer. Got so much of additional information by Sangeeta Didi about the relations of Madan Sahab with his contemporary music directors and singers. About the myth of Madan ji being Ghazal Maestro only, people should listen to “TUM JO MIL GAYE HO” , “EK HASEEN SHAM KO” , “JHUMKA GIRA RE” , “ZAROORAT HAI” and many more popular peppy numbers he composed. He was a true versatile composer BUT YES no one could compose the Ghazals in the way Madan Ji did .. Lyrics and Composition complementing each other, full of feelings. Hats off to Sangeeta ji , who has done full justice by her frank, emotional and informative answers and has presented a treat to music lovers. Congratulations Sangeeta ji and Peeyush ji for publishing such an amazing article. My heartfelt greetings and best wishes. So glad you took the time to read the article Sanjeevji. So happy to read your comments and also learn that you agree with me and few more that he had much more to offer just Ghazals, though they were his forte. Hearty thanks Sanjeev ji for your comments. In my earlier write up I did write about his peppy numbers and they are outstanding. He wore many hats and to cage him in the Ghazal only parameter is totally wrong. Yet, no doubt he was a king at composing Ghazals. Sangeeta ji…This was, indeed, a fabulous read, and so engrossing! I learned many new things on Madan ji’s personal side that I did not come across in the 2 books on Madan ji that I own. These could have come only from someone like you who were so close to the legend. Regarding Asha ji’s singing for Madan ji, I feel that her song from Akhari Daao — hamsafar saath apana chhod chale deserved a mention here as I know how much you like it — the deep pain, the gut-wrenching pathos in Ashatai’s voice here makes you totally numb — I would rate this song on the same level as some of the best songs Lata ji has sung. Also, Ashatai was outstanding in Sabase yeh keh do ke kaliya bichhayen from Bank Manager. These songs break the myth that Madan ji only gave peppy numbers to Ashatai. Talking about Jahan Ara — no other Hindi film soundtrack has given me such immense listening pleasure as this one. Every song of this movie — all of the 9 are pure gems! Often on a relaxed Sunday afternoon, I put the whole album and then for the next hour or so, I just get transported to heaven! I grew up listening to Madan ji’s songs from the very early age. My dad’s music library included so many of Madan ji’s soundtracks and his music was always a topic of discussion at our home. I remember my dad telling us the nuances of music by citing his compositions. The lyrics of most of his songs, all antaras, were on the lips of all my siblings and we read a lot on him and his music in our growing years. Madan ji will remain in our memories, forever. No words to thank you for your comments Shyamji. You have always been very vocal about your love for Madanji’s music and your observations above are very enlightening. So happy to hear that his music was enjoyed by your respected FAther and you siblings and this has led to you enjoying the nuances of his compositions and enjoy them even further due to this. He remains alive even today because of the love and respect of music lovers like you. And we are blessed because of this. This is easily one of the most revealing interviews I have come across.. Especially when the legend is remembered so candidly and lovingly by his own daughter – it makes the journey not only engrossing and informative but also very heartwarming and touching! The richness of information shared, with lots of hitherto unknown facets of Madan Mohan ji is a treasure uncovered for all of us fans. The credit for initiating this must go to you Antara….Without your persuasion and Peeyushji’s questions, I would never have been able to put forth my memories. Thank you both so very much. One must also credit the interviewer Mr. Peeyush who has done some fantastic research on his own! Absolutely agree with your view on Peeyushji’s expertise in getting out the best in an interview. You must read his interviews with the Legends he has interacted with. Thanks Padmanabh ji. We music lovers, always have so many questions in our mind, so many how and how comes. That Sangeeta ji grace fully accepted to answer my questions shows her greatness and she did take time and effort in her replies. That the presentation took a beautiful shape is all to Antara’s credit, she is really skilled. Very nice interview… Loved the insights and the songs!! Will visit again for closer read. Thanks,Sangeeta Gupta, for this treasure trove. As you rightly observe, we, at times, tend to Cerebrally Dissect songs, something that they were not made for. Dil se unhein sweekar karke enjoy karna; Bus! 1.Bhupinder’s Debut was ‘Hoke Majboor’. 2.Hemantoda has sung for MM. I was unaware of this. Madanji had an uncanny knack in coming up with the most apt instrument for a certain portion of a song, something comparable to Ray’s being a stickler, regarding the props he needed for a scene. Must have been a perfectionist to the core. Chaps as obsessive as me appreciate this facet of his as it enhances the import of the lyrics, which I feel came about because of his profound literary grasp that you’ve mentioned. A ‘Musical Mood’ is thus conjured up, much to our delight. Thanks Pisharotyji for your expert views. and glad you took time to read and enjoy the article. Am so happy to read your comments on the use of instruments to embellish the songs in his own inimitable way. Thanks a lot for your expert comments Pisharoty ji. 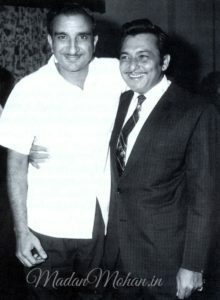 I believe Hemant sang 3 songs for Madan Mohan. In some other write up I will list them out. If a creator is not a stickler then the impact left behind fades away. Not so with MM, with each passing day he generates more interest through his songs for older and newer generations. Songs of Hemant Kumar for Madanji. Love to read such type of article. So nice songs. Thank you Suman ji. We are honoured to have readers like you. My heart felt compliments to you Sangeetaji, for an extremely nice and highly informative interview given by you and also to Peeyushji for framing very pertinent questions. I, incidentally, read it much later and obtained a lot of information on Madanji and his co-workers as well as contemporary musicians. I am an ardent fan of Madanji from my childhood and the information provided by you has enriched my knowledge base on your great father. There are a couple of questions for which I am yet to receive any answer. May be you, being his daughter, could possibly shed some light on them. 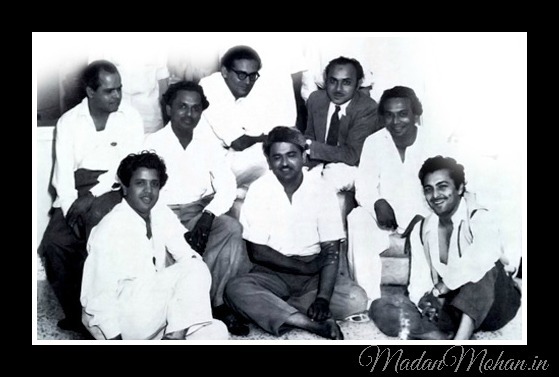 I have observed that Madanji has worked with a very large number of lyricists but never with Shakeel Badayuni and Shailendra. Shakeel Saab was a highly renowned ghazal writer and together these two masterminds could have created some outstanding songs but it was not to happen. Madanji was the greatest ghazal composer but he did not compose any non-filmi ghazal. Such an effort would have given us music lovers a real treat. Imagine Madanji’s ghazals being sung by artists like Beghum Akhtar or Jagjit Singh and such other eminent ghazal singers! It would have also been a great experience listening to some marvellous ghazals penned by magnificent ghazal writers like Mirza Ghalib, Meer Taki Meer, Dr. Iqbal, Ahmed Faraz and many others, with melodies composed by Madanji. I think we missed a lot though what we have got from Madanji’s compositions is a musical treasure with innumerable gems. 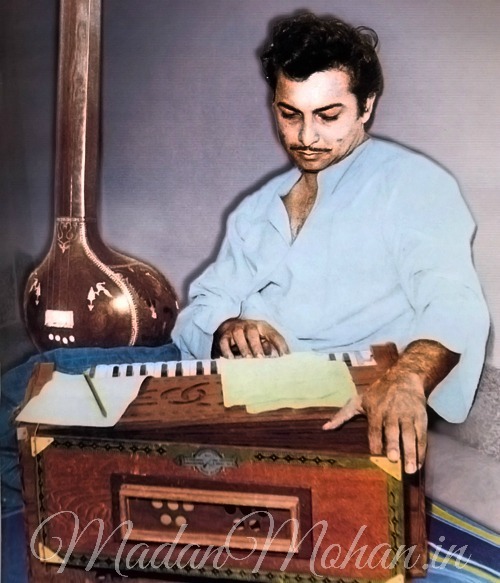 On going through his works, I also realised that he has worked with so very many lyricists at the beginning of his career till in the latter part of the 50s it became steady with Rajinder Krishanji, but here too after a while he continued with Raja Mehdi Ali khan and after he passed away Kaifi Azmi. Rajinder Krishanji continued to be there all the while….right till one of his last films Sahib Bahadur. Yes, it is unfortunate that there are no non-film ghazal which could have been sung by Legendary Begum Akhtar and so many others. I am not qualified to answer you and Sangeeta ji can best do that. But, I believe the lyricists were signed on by the producers (or directors) and paired with the music director. Why Shakeel or Shailendra did not team with MM is a miss for us music lovers. Begum Akhtar has on record, appreciated Madan Mohan’s compositions and spoke highly of them. Who knows if Madan ji would have lived longer, many more associations might have happened. Peeyush ji, I am not aware of other music directors but in case of SD Burman Dada, it was Dada who selected his writers. From my interview with Gulzar ji I gathered this. From my interviews it appears Anand Bakshi appeared to have been taken by SDB. Neeraj in my interview has gone on record that when Dev Anand suggested his name to Dada, Dev was told that if he can’t write he won’t be taken. Dev told Dada that he is a professor and he will go back in case Dada was not satisfied. You are right Moti Bhai. I am aware of this trait of Dada. But not sure if all music directors followed it this way or not. Thus left it for Sangeeta ji to comment. Maestro Madan Mohan did not just give music to please the crowd. He had his own style and never compromised on the quality of his compositions. He stuck to his convictions. Unke sangeeth mein jo kashish , nasha aur mithaas hai. Lajawaab!! Sangeetaji has taken us on beautiful journey of his life, we cannot thank her enough. Madan Mohan saab ke yaad mein main apne kuch current favourites pesh kartha hoon. Aise sangeethkar yug mein ek baar hi aathe hain. Thank you so much for your observations Sriramsji. I had shared it last year too. What an interview you have managed Peeyush Sharma. Each and every word Sangeeta speaks comes from the heart and with all the love and affection and adulation a daughter has for her father. Thank you once again from the bottom of my heart Dilipji…..